“The Gathering Place” and the third largest Hawaiian Island, Oahu is founded on pleasant contradictions. 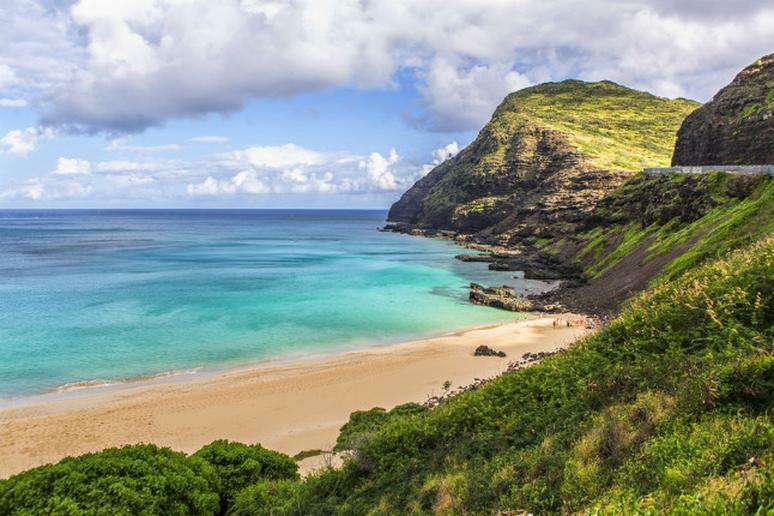 From the fusion of east and west cultures that combine on the island to the mix of ancient history and modern attractions, Oahu is a spot where everyone can find their niche. Top-tier surfers will find their place on the north shore, while snorkelers will enjoy the protected bays and history buffs can get their fill at many monuments. Just don’t forget to stop in for some shaved ice at Uncle Clay’s. Surf the North Shore (or watch the pros). Known for insane swells, especially in the winter months, Oahu’s north shore will not disappoint. Head to Sunset Beach or Waimea Bay if you’re a skilled surfer or if you want to watch some of the best around get barreled. Trek up Diamond Head. Go early in the morning and wear comfortable shoes for this hour-long scenic trek up a volcanic cone to one of the best lookouts in Hawaii. The monument offers a breathtaking look at Honolulu and the surrounding area that should not be missed. Snorkel in Turtle Bay. This spot, protected from large waves and rough surf is set on Oahu’s northern coast. It’s one of the best spots for snorkeling on the island, giving swimmers a chance to see sea turtles and other magnificent tropical fish. Visit the Pearl Harbor/ WW II National Monument. A historic monument that is both moving and educational—an integral part of world history that is both grave and inspiring. Lucky Belly—This Asian-fusion inspired restaurant serves up some of the most adventurous and delicious dishes in the area. Uncle Clay’s House of Pure Aloha—The shaved ice at Uncle Clay’s is the best you’ll find. Stop in for a taste of true Hawaii. The Modern Honolulu—This resort is a huge hit with those who have stayed, likely because of its great location on Waikiki Beach, two pools and one-of-a-kind design. Turtle Bay Resort—This high-end resort is set on the north coast with two pools, two golf courses and a killer view.